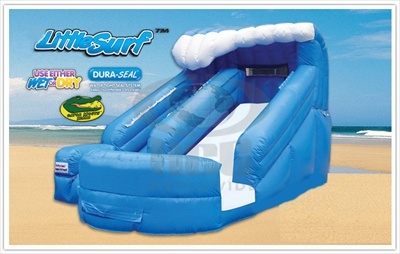 Our Toddler Little Surf 13ft Water Slide brings the ocean to you and is perfect for the smaller children! It has our unique special feature of an inflated air landing air pool (so kids dont slide down and bump directly onto the ground), which is very important for our little ones. 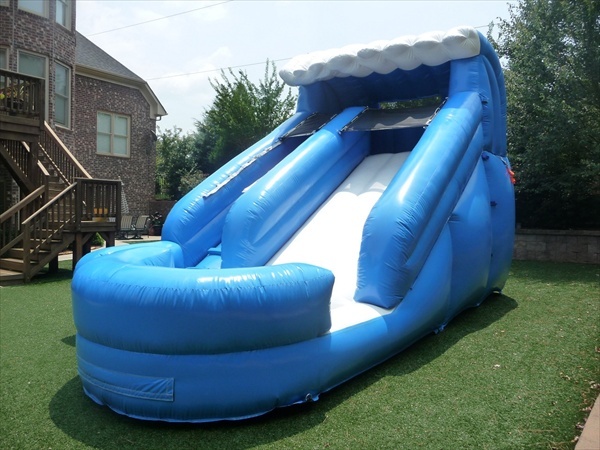 The recommended age is 3+ to adult (yes teens and adults can also ride the water slide) which makes it great for family fun summer backyard parties. The wave design will make everyone feel they are right on the beach on hot summer days! � Min. Player Height: ..................... 34"